Since 2007, ATP: Asia Tree Preservation (美亞樹藝服務有限公司) Certified Arborists have helped clients in the public and private sectors in Hong Kong and beyond to ensure that their trees are assets rather than liabilities. ATP offers a comprehensive suite of tree consulting services including tree survey, tree risk assessment and typhoon preparation. We also assist in tree preservation on construction and redevelopment projects as well as selecting the ideal tree type for each project’s unique needs. When integrated properly into a public or private space, trees can add beauty, function and value. The right trees in the right places can greatly enhance the user or visitor experience, be it in a commercial development, recreational club, school or private home. When neglected or poorly integrated into a space, however, trees can be more than just an eyesore, they can pose real risks to property and lives. ATP’s multicultural and polylingual team of certified arborists and qualified tree risk assessors possesses decades of experience and is familiar with state-of-the-art tools such as the Rinntech Arbotom® and Rinntech Resistograph® – highly precise instruments which allow our experts to “see” inside a tree to analyse its structural integrity. In addition to consulting services, ATP also provides a full range of tree care services such as tree pruning, installation of tree support systems and, when necessary, tree removal. Arboriculture is taking root throughout Asia; and ATP is proud to be an important provider of arboriculture industry best practices for newcomers and experienced practitioners alike. 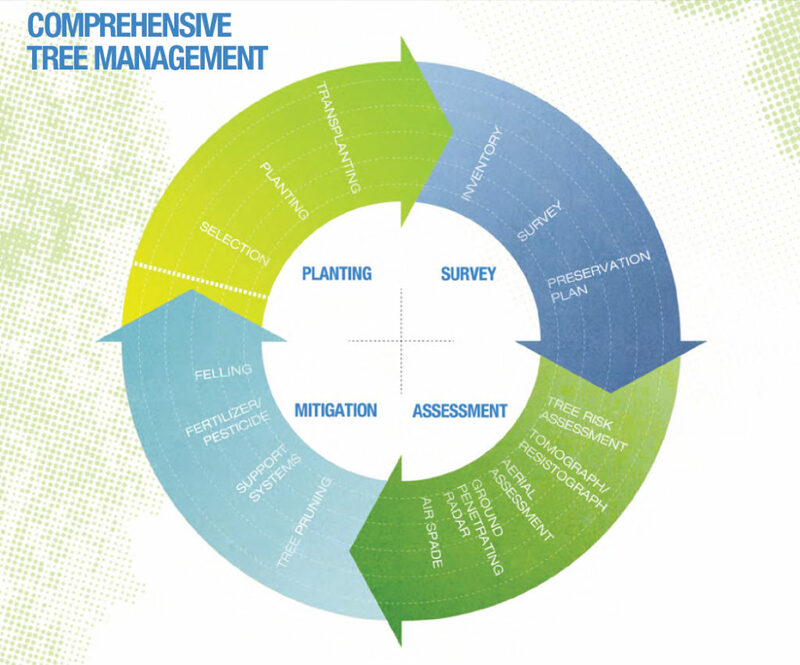 Our bespoke training programmes allow our government, corporate, educational and other clients to keep tree maintenance and risk assessment work in-house. Regardless of the nature of your business, if you have trees on your property, ATP’s arborists have solutions that will enable you to minimise existing risk and manage residual risk. Contact us today at +852 2669 5126 or [email protected] to learn more about how we can ensure that your site’s trees are assets – not liabilities.